Muscle Freedom is a friendly, professional, highly regarded remedial massage clinic in Black Rock, Melbourne. With over a decade of experience in the industry, our philosophy is to treat all injuries, not just by looking at the symptoms, but also by finding and treating the cause. 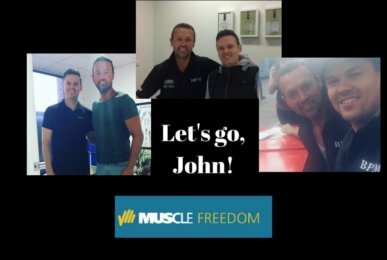 At Muscle Freedom, we love our locals, and most of our clients stem from Black Rock, Sandringham, Hampton, Highett, Cheltenham, Bentleigh, Mentone, Beaumaris, Parkdale, Mordialloc and Brighton. However, we also treat athletes from further afield. If you’re searching for the best Melbourne massage, look no further! We’re open 7 days a week. Whether you require a deep-tissue massage and dry needling, or a sports massage with myofascial cupping, we tailor each treatment to the individual’s needs. One of our strengths is treating sports-related injuries for a range of disciplines, including cycling, triathlons, golfing, running and swimming. Pregnancy massages are also available and are specifically tailored to alleviate the muscular pressures placed upon expectant mums. Discover how remedial massage therapy treats muscular problems, improves overall health and prevents future injury. Find out how myotherapy improves a range of musculoskeletal conditions, alleviates pain and enhances mobility. Our therapists are professionally trained in pregnancy massage and treat common muscular issues faced by expectant mothers. Discover how our deep-tissue massage releases tight layers of muscle and tissue using firm pressure. Often used in conjunction with remedial massage, dry needling releases trigger-point tightness. Find out how this ancient Chinese remedy improves blood supply, increases mobility and speeds healing. We specialise in treating sports-related injuries and helping to prevent future injury using a range of techniques. Discover how tigger points can cause referred pain in other areas of your body, and how we can help. Find out how this incredible invention, which mimics human skin, relieves strained, torn or weakened muscles. 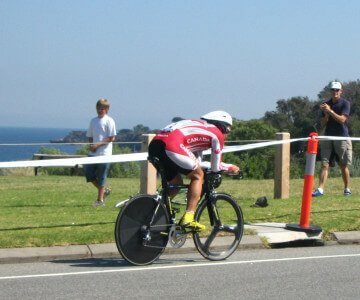 We offer sports massage treatments specifically designed to treat the common issues faced by triathletes. 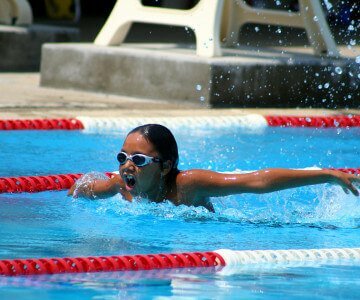 Help improve your performance and prevent injury with our customised massage for swimmers. Discover how remedial massage can improve your circulation, range of motion, body awareness, and so much more! 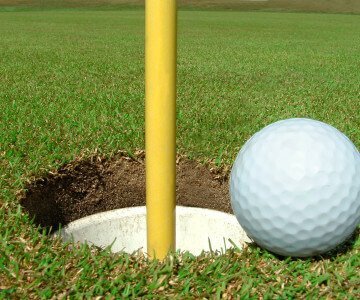 Swing into action, improve blood flow for recovery and increase your range of motion with one of our massage for golfers. Learn how our sports massages can treat common muscular issues faced by cyclists and enhance performance. 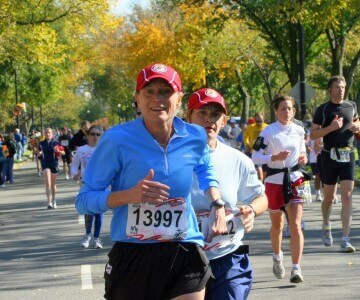 I began seeing Kerrie about 10 years ago for a genetic back condition and have never stopped! I have tried many masseurs over many years but have found Kerrie’s strong remedial massage to be the most effective of any. She is a valued and indispensable part of my successful back management plan. I first started seeing Tom at the start of August after some ongoing niggles I experienced through Basketball and getting back into jogging. His massage service & technique has helped immensely and I have since recently completed Around the Bay 2017, a 200km cycle ride, and the Melbourne Marathon, something I would have never thought possible just a few months before. Tom’s advice is second to none and I’d recommend anybody suffering from ongoing issues to get booked in! Thanks Sam for getting me in shape for my 10,000km journey. Never felt better. You are a rare gem! My first remedial massage was in 1994 and I have received monthly remedial massages ever since. This was my best massage ever! Very sad that I live so far away (California). I have had many massages before but this was by far the best. Sam went above and beyond the standard requirements by providing me with advice on how to overcome my muscle pains after my massage. Truly knowledgeable and thorough. Sam is an absolute pro, asking for feedback and explaining all my aches and pains really clearly. Very friendly and welcoming members of staff who look after their customers. Very professional and peaceful environment. Everything I expected. During 27 years of competitive cycling, running and multi-sport I’ve received remedial massages from dozens of masseurs all employing their own interpretations of studied techniques and practices. There aren’t many masseurs who possess the innate ability to accurately detect and EFFECTIVELY alleviate muscle tension to the same degree that Sam Noble does. Sam’s thorough work ethic, combined with his natural talent, provides excellent and consistent results; muscles restored to full power. Sam is undeniably one of the best massage therapists you will ever experience. Look no further if you need someone who will work with you to rediscover all the capabilities of your body. 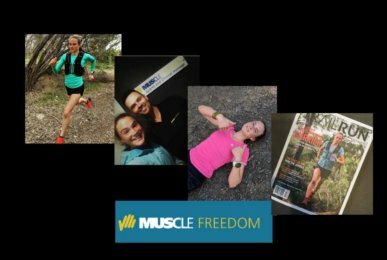 Muscle Freedom says it all! Sam was knowledgeable and got to the source of my back problem immediately. I would recommend him to anyone who suffers from back pain as he helped me to improve my posture by giving exercises out- along with massages. He constantly works to loosen my muscles. Both my partner and I compete in ironman triathlons and at times suffer from muscle soreness, in fact a lot of the time. Sam was recommended to us by a friend. We can honestly say he has helped with our muscle recovery. We are racing in New Zealand in 2 weeks and we are very grateful for Sam’s professional and knowledgeable understanding of an athletes woes. We highly recommend Sam. Being a former professional road champion I’ve had many masseurs and remedial massages. Sam is the best – he knows his stuff. He helped me go from cycling to running my 1st sky marathon in just 10 weeks. Thanks Sam. At Muscle Freedom, we believe in taking a holistic approach to health and wellbeing. We regularly share articles about myotherapy and remedial massage therapy, nutrition, stretching, industry news, and events. Please check out our blogs and ‘like/follow’ our social media channels to keep up-to-date with our latest news. Need help with a specific condition? Myotherapy and remedial massage can achieve astounding results for a broad range of complaints, including headaches or migraines, carpal tunnel syndrome, RSI, tennis elbow, achilles tendonitis, and neck, shoulder, knee or back pain. Talk to us about your concerns and we will tailor the treatment to your needs. Please use our handy online booking system or give us a call to make an appointment. We are a busy myotherapy and remedial massage clinic located in Melbourne, and it can sometimes be tricky to secure a last-minute appointment. However, we can put you on our waiting list, so please don’t hesitate to call if you require an urgent treatment.